 Log In needed $99 · Full-Service Junk Removal ** SPECIAL PROMO CODE ** New Location! 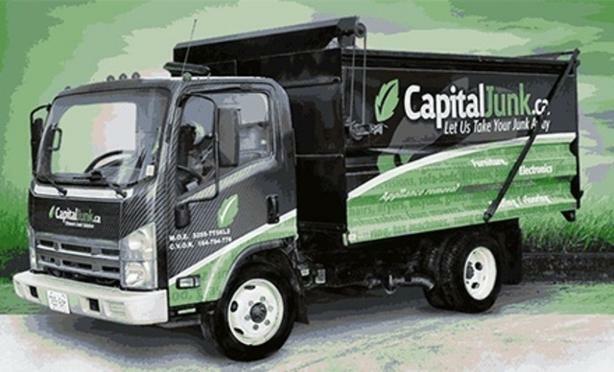 With 10+ successful years in the nation's capital, Capital Junk is now operating in Kitchener, Waterloo, Guelph, Cambridge and Surrounding areas. EVERYTHING IS INCLUDED IN ONE UP-FRONT, VOLUME-BASED QUOTE. Hauling, loading, processing, disposal, transportation and a sweep of the area is all included. To celebrate our new location we are offering clients $60 OFF our professional junk removal service. Customers who have a 1/6 truck load or more, residing within the regions of Kitchener, Waterloo, Guelph and Cambridge can add promo code KWGC60 to their ONLINE BOOKING or simply let the staff know at the time of booking your appointment! Not applicable to heavy and dense objects such as sod, soil, concrete or books.